Born and raised in the Southern Tier, Dirk Olds earned a four-year degree from West Virginia University in Education. After 10 years in the service industry, Dirk felt a calling to helping others and worked to become a financial services representative in 1993. His successful career began as an advisor with two major insurance companies. Following a promotion to manager, he started his own firm. Dirk joined the Ambassador Advisors team in 2014. His diverse hobbies include maintaining his stunning 220-gallon salt water fish tank, traveling, and chauffeuring his daughter to ballet, synchronized swimming, piano lessons, and other school functions. Dirk enjoys community service, as evidenced by his diverse résumé of activities. 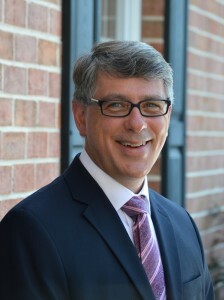 He is a past president of the Tri-Cities Opera Company, the treasurer of his daughter’s synchronized swimming team, secretary of the local chapter of Financial Planning Association, and serves on the Investment Review Team for the Northminster Foundation at the Northminster Presbyterian Church. Dirk lives in Endwell, NY, with his wife Brenda and daughter Mackenzie. His son lives in Orlando, FL.